iGamePlanner is based on our highly acclaimed GamePlanner sports animation tool. However, with iGamePlanner the applications within the software can be tailored to more closely fit your individual needs. The heart of the system is the easy to use iPlanner animation app which enables you to create professional animations of all your drills and moves. iGamePlanner is the perfect way to share coaching information so if you are involved in coaching sport in any capacity you need iGamePlanner to help you get your message across easily, accurately and successfully! 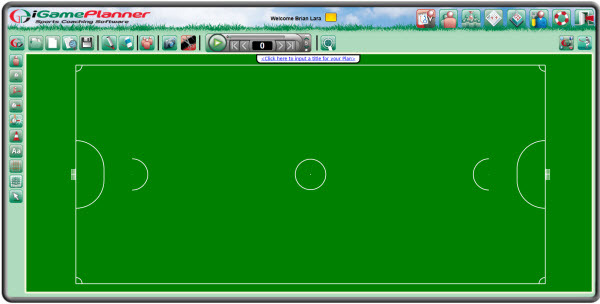 iGamePlanner system is not just about being able to produce professional quality animated moves and drills. It is the complete coaching tool that you can use to help you create and manage all your club, team and player information including team selection and player stats. iGamePlanner is always available, always up-to-date and always ready to help you succeed. So why not make your coaching life easier, more productive and more professional and JOIN iGamePlanner! Why not contact us for a Test Drive - all the features are there for you to use so you can see straight away whether our software is the one for you. We are confident you will be impressed. If you’re not then please tell us why, it’s only by working with coaches that we have come so far. Or why not JOIN NOW and start adding animation to your coaching plans and ideas today! iGamePlanner is currently not available for smart phones or tablets.